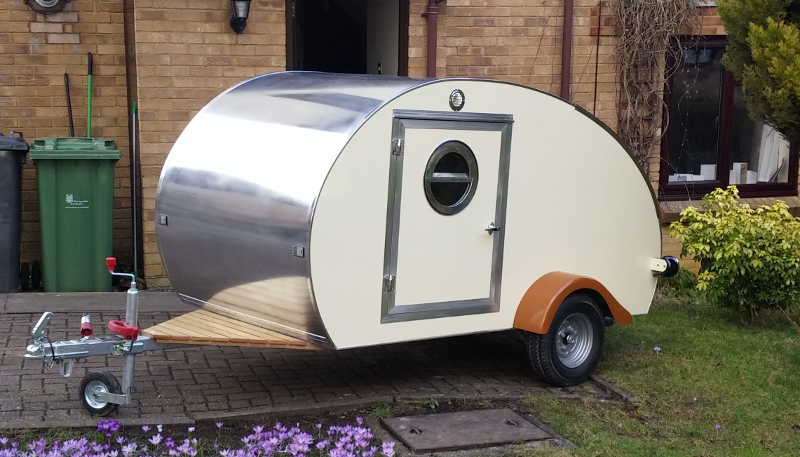 A teardrop trailer hand-built in Basingstoke, Hampshire. This aluminium clad camping trailer harks back to an era where style was paramount and sleek design got you noticed. 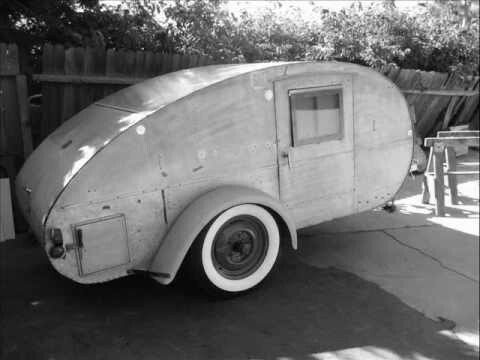 We believe in keeping things simple small and smart, our teardrop trailers are loosely based on a 1940's design,The Cub. This cosy mini caravan contains a space for cooking at the rear which includes compartments for storage and leisure battery. Inside there is ample space for two adults to sleep in comfort. We aim to provide the cheapest and best value bespoke tear drop caravan in the country. The chassis is purpose built for us by AL-KO and comes with a 12 month guarantee. The trailer is sturdy but also light to manoeuvre - one person can easily move it around so it is light but practical and can be towed by a smaller car. We have a trailer to view at Trailer Tek, Andover Road, Micheldever, SO21 3AS during normal working hours. The Diddyvans Teardrop trailer's streamlined shape, small size and light weight allow for easy towing on even the smallest cars. They look great behind a vintage car or hotrod but would make any camping trip, regardless of your car model, a stylish one. This little beauty turns heads wherever she appears. Our camper trailers are IVA certified and can legally travel to Europe for camping in Holland, France, Germany or any other spot on the continent that takes your fancy. 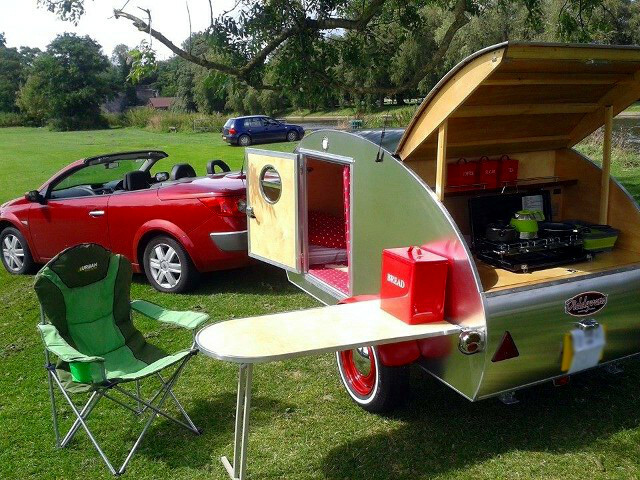 Order now for your own slice of cool camping in vintage retro style. Our teardrop trailers are handcrafted to customers' specifications using only the best quality parts and materials we can source.